way. 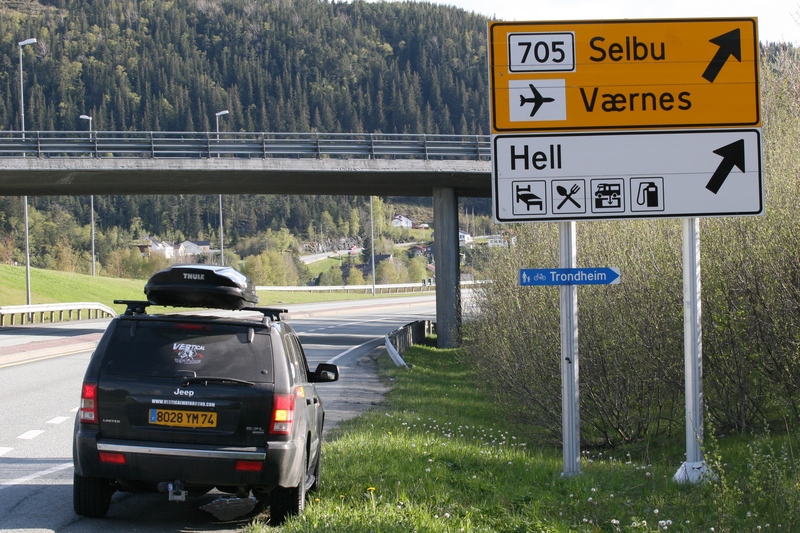 Don’t know what we have done, but it felt like the devil was ready for us……..
stop rain from the time we entered southern Sweden and until we left Norway. but we had the opportunity to catch up with a lot of friends who was there. We quickly moved over to Norway for skiing at first Narvik and Lofoten. and in pretty bad shape. the road warning signs for trolls…..
games. That’s what we did for two days. On day three it looked like it could be OK and we did an attempt to go skiing in Stryn. The ski area were actually closed, but it was arranged for us to go there anyway. bad weather again appeared made us stop the skiing. Two runs were all we got out of Sweden/Norway and this all due to the bad weather. Nothing we can do about it and “you can’t win them all”. we fly to Australia on June 7.